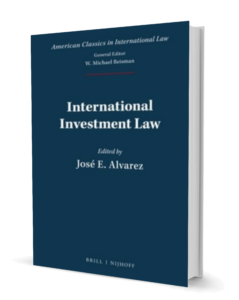 American Classics in International Law: International Investment Law, edited by Professor José E. Alvarez, contains a selection of the best scholarship on the subject produced by those with a connection to the United States. 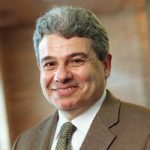 Since international investment law remains a subject that is not codified in a single multilateral treaty, the volume also contains selections of U.S. treaties that have influenced the over 3,400 international investment agreements (IIAs) now in existence. The collection offers a selection of significant addresses by prominent U.S. policy-makers along with a comprehensive introduction by the Editor that puts the various elements – the contributions made by U.S. academics, treaty-negotiators, and policy-makers – in a broader context.